Kids’ Zipline: if your children are ready for the thrill of a zipline, and not quite old or tall enough to try it, introduce them to the resort’s smaller, kid-friendly version. Kids’ Ropes Course: help your little adventurer build confidence on this kid-sized ropes course. This age and size-appropriate course is a great challenge in a controlled, fun, and relaxed environment. Kids’ Tubing: opening in mid-July, kids’ tubing allows the youngest members of your family to experience the thrills of winter during the summer…on a tube! Hike: Deer Valley Resort offers an endless variety of trails with scenic vistas throughout. We know that hiking can get tiring (for adults and children both! ), so we suggest taking a scenic chairlift ride to the top of the mountain, enjoying a quick snack, and trying a less-strenuous hike down via one of many designated hiking-only trails. 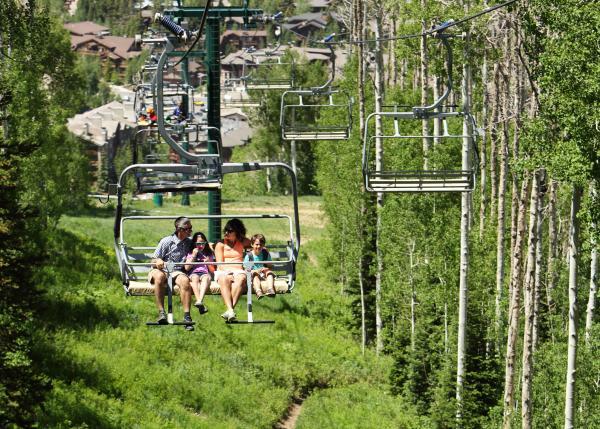 Summertime chairlift rides offer a unique view of the mountain and surrounding Park City area, and a one way, downhill hike is sure to please even the littlest members of your family. 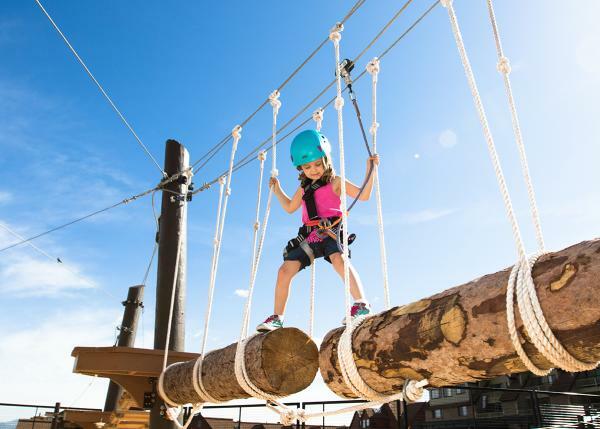 Adventure Camp: Sign the kids up for a fun-packed day at Deer Valley Resort’s Summer Adventure Camp. With an array of activities, fieldtrips and outdoor adventures, your little ones are sure to love a day that’s completely kid-focused. Sign up for 1-day, 3-day, 5-day or half-day sessions. Visit Deer Valley&apos;s website to learn more and sign up. Wondering where to bring your hungry kids for a post-adventure meal? Check out our list of Après-Adventure Family Dining Options!